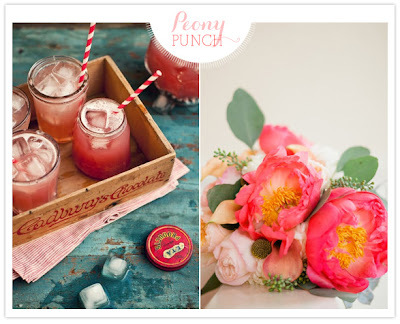 Juneberry Lane: Perfectly Pretty Peony Punch . . . 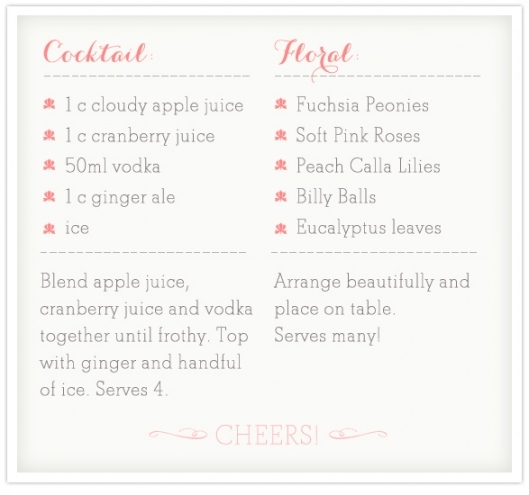 I am so excited to bring you this lovely, flowery cocktail recipe from 100 Layer Cake this very fine Monday. What's more, I thought today was just the right kind of day to throw in a free printable drink circle, customized for you from Juneberry Lane! And who doesn't love a free printable?! 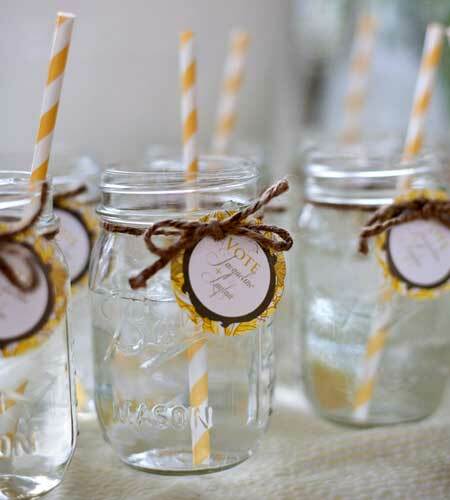 Just take a look at this ever-so-refreshing cocktail and then get thee to a supermarket for a case of mason jars & a few fab ingredients!! Print up our pretty labels and you are all set . 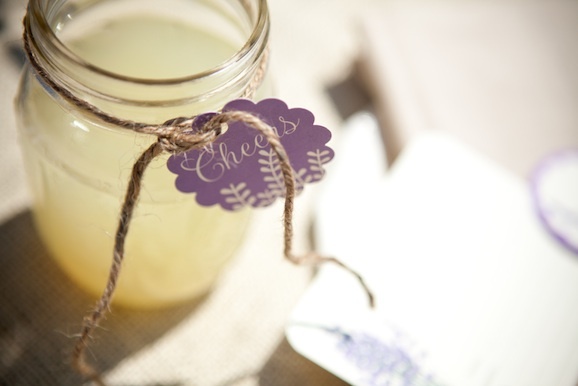 . .
And here is a custom, Juneberry Lane tag, just for you, to tie around your mason jars or vintage milk bottles for some extra flowery fun! Here is what you are aiming for . . .
And here's your free printable! Just print out as many of the multiple sheets as you need, use a 2 inch scalloped or straight circle craft punch from your local craft store (or a pair of scissors) to cut them out, make a small hole with a hole punch in the top-center of your circles, and tie around the neck of your mason jar or milk bottle with some pretty baker's twine! 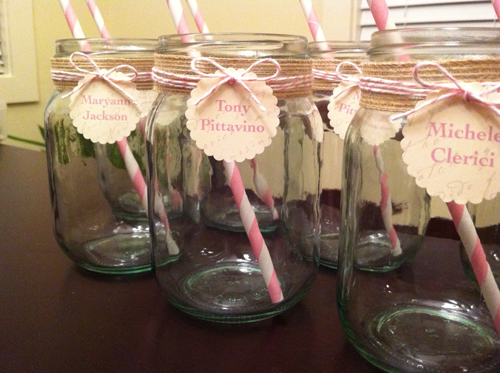 Want it customized with your name or wedding/bridal/baby shower date? 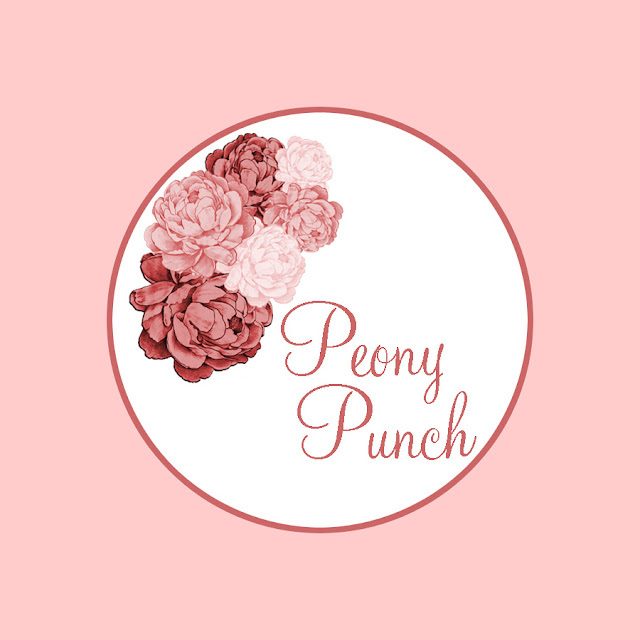 You know you can find us over here at our Juneberry Lane Etsy Shop! Hope this week is shaping up to be a great one for you...we have all sorts of new surprises headed your way, so don't forget to drop by again soon! !